In this article, we’ve gathered the best SEO software available on the Internet. There are both free and paid solutions, which have a wide range of use. Our DIY SEO post describes various SEO analyzers, SEO reporting software, SEO management tools, SEO optimization platforms, and SEO checkers. Each tool has a short description and a link to its official website. All solutions are relevant for 2016. If you don’t know how to check SEO keyword competition or are wondering how to perform a sterling SEO keyword competition analysis, you’ve come to the right place. Below, we introduce the best SEO competitive analysis tools. 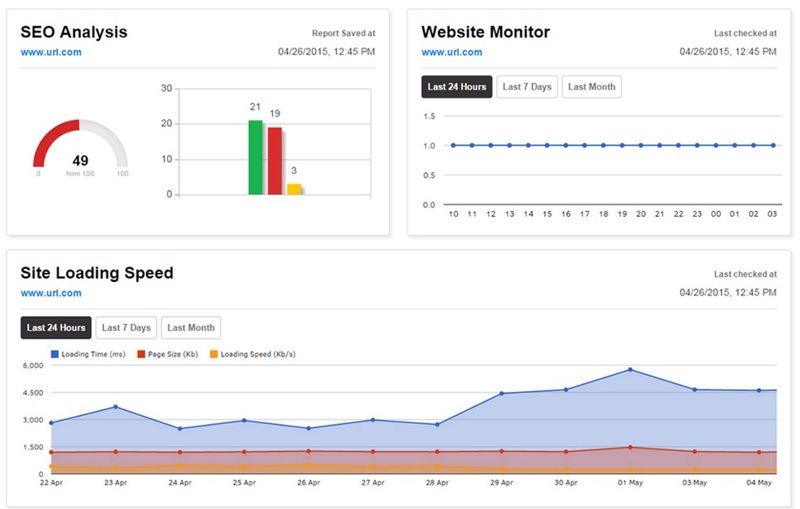 Run a SEO check with IOCheck – the latest SEO software tool. 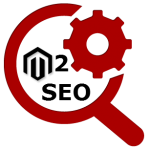 Research keywords, find out keyword grouping, analyse competitors, and run morphological analysis with the newest SEO optimization software. Paste several keywords relevant in your business niche and get a bunch of new keywords from various sources. 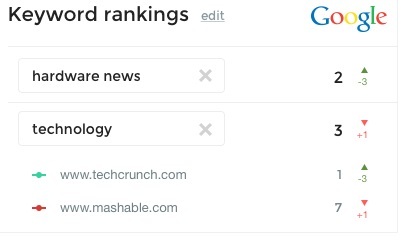 Upload a list of keywords and IOCheck will provide you with the analysis of your competitors. 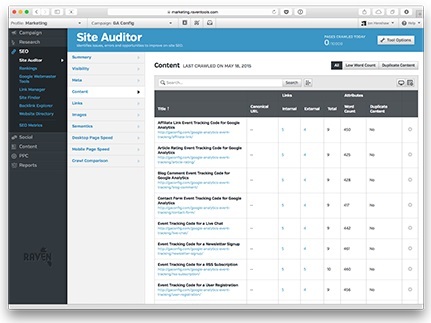 Run a competitor’s website SEO check and the map keys necessary to improve your own content. For further information, follow this link: iocheck.com. With Ahrefs you get the ability to check your backlinks, brand mentions, and keywords. The platform provides such tools as site position, and content explorers; position tracker; alert system; and crawl reports. 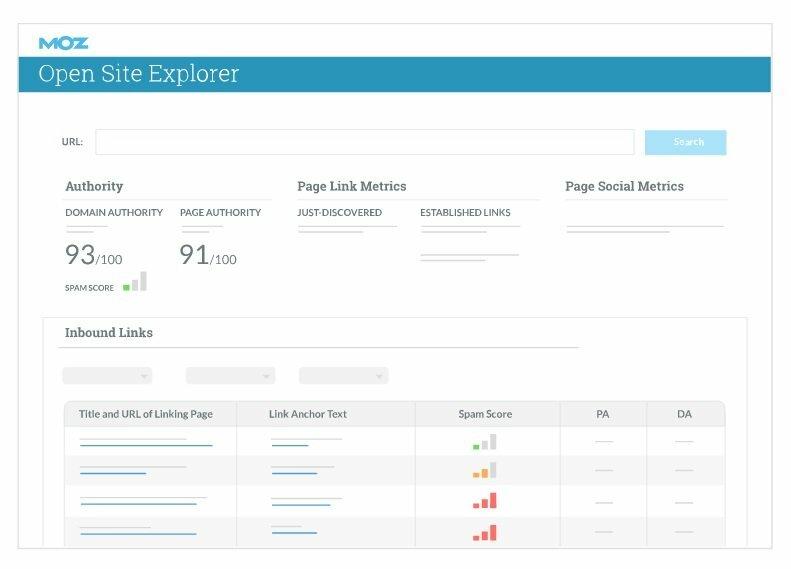 By using the site explorer, you can get a deep insight into a backlink profile of your website. 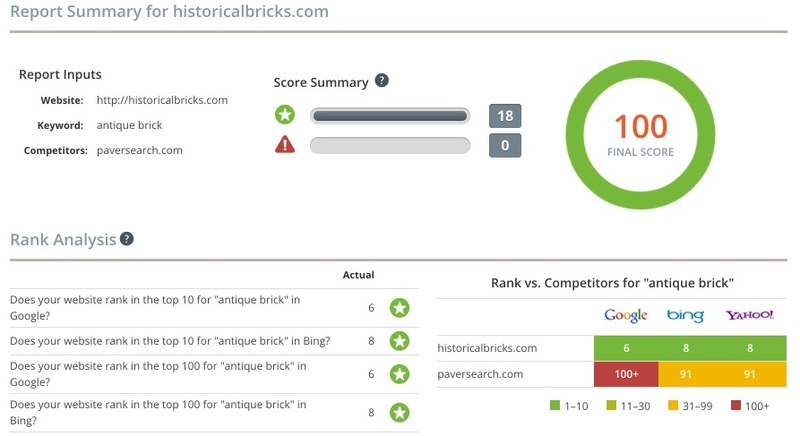 Besides, you can scan your competitors to see, how well they are doing with backlinks and anchors. As for the position explorer, it analyzes search traffic. Take a target website and get all information about its ranking in search engines, find out if it relies on paid advertising, or check its paid keywords. In its turn the content explorer helps to scan a certain niche and discover the most popular content there. You can find other Ahrefs’ features on its official website. Please note that this SEO software is recommended by Brian Dean (Backlinko founder) and Neil Patel (KissMetrics). 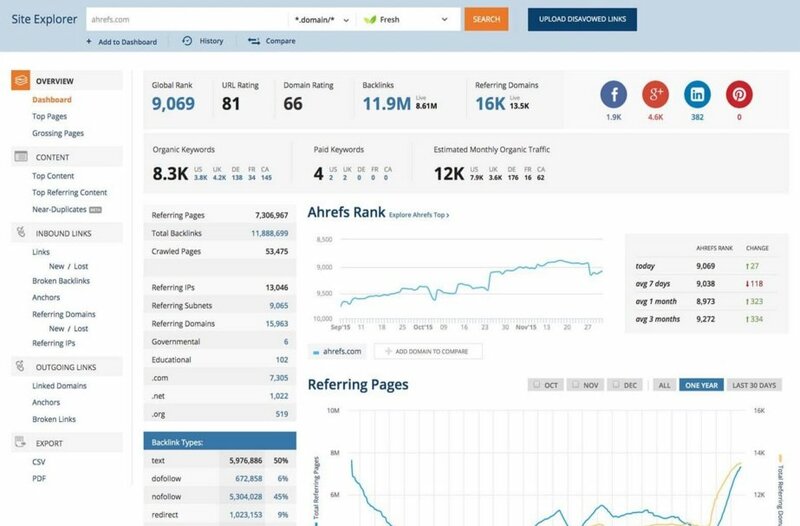 The SISTRIX SEO toolbox is a top-notch software solution popular among SEO specialists, which offers 6 independent blocks: SEO, Universal, Links, Ads, Social, and Optimizer. If you don’t need all these blocks, you can easily subscribe to a single module. Consequently, you pay for features you need. As for the first SEO block, it offers SEO optimization software and SEO analyzers necessary to streamline your organic search results. 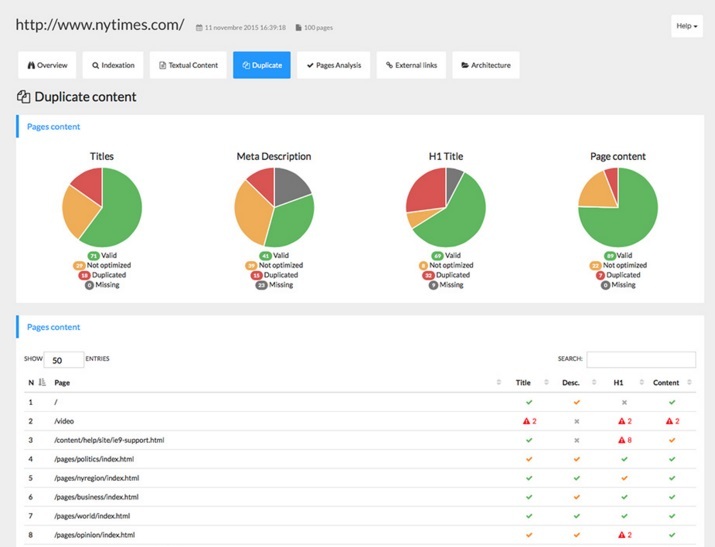 The Universal module analyzes Universal Search Integrations within news, videos, photos, and other content. The block dedicated to links provides you with a deep insight into your backlink profile. Alternatively, you can scan your competitors or check any link risks. The Ads block offers all possible tools aimed at AdWords and banner campaigns analysis. And the Social module introduces social signals from Facebook, Twitter, Pinterest, Google+ +, and LinkedIn. The Optimizer block has everything necessary for creating unique keyword sets. 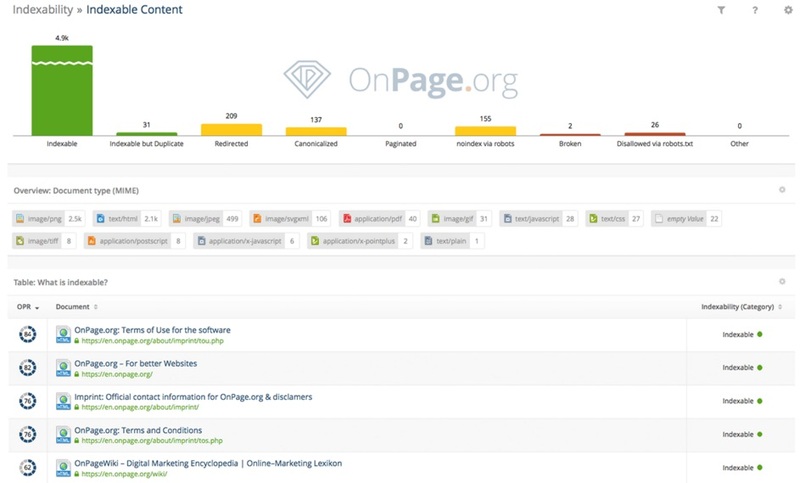 If you are looking for a free SEO software solution, we recommend you to pay attention to OnPage.org. It covers everything from from broken links to keyword monitoring and provides tools necessary to optimize all aspects of your websites including source code. Besides, OnPage SEO software provides intelligent algorithms which help to leverage all SEO potential of your content. You will also get a single page analysis solution that works in real time. 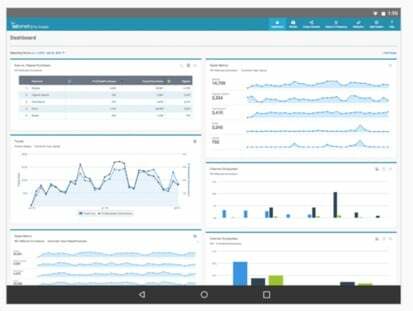 And you will be able to monitor your competitors as well. Keep an eye on third-party websites to be aware of the latest trends and innovations other market players implement in their businesses. If you need a free SEO software solution that can provide an instant review of your website, pay attention to WooRank. Although the tool allows generate a limited number of reports, you can save them for further review. The paid plan doesn’t have any limitations. Every WooRank’s report contains the following sections: Marketing Checklist (the most important actions), SEO (correspondence to the best SEO practices), Mobile (mobile optimizations related to SEO), Usability (shows how user-friendly your website is), Technologies (different SEO aspects and features), Social (the popularity of your website on social networks), Local (listings in local directories), and Visitors (popularity from the perspective of traffic estimates). Searchmetrics is famous for its enterprise SEO suit. 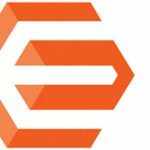 The platform provides tools which essentially simplifies your routine related to search engine optimizations, content marketing analysis, and business forecasting. This SEO software analyzes your online enterprise and offers reports and recommendations regarding website improvements necessary to make it more reachable for your potential customers. You get the analysis that reveals opportunities, the decisions are up to you. Content Optimization. SEO tools from this block provide the ability to engage more visitors. Mobile SEO. With the Mobile SEO block, you get an opportunity to examine your mobile rankings and the appropriate traffic. Social SEO. This one helps to improve content strategies and fine-tune your appearance on social media services. Global SEO. Global SEO is designed to boost your global search performance. Local SEO. In contrary to Global SEO, the Local SEO block reveals trends and opportunities related to your neache and local market. Site Optimization. The Site Optimization block provides tools developed to make your website more attractive to all possible search engines. 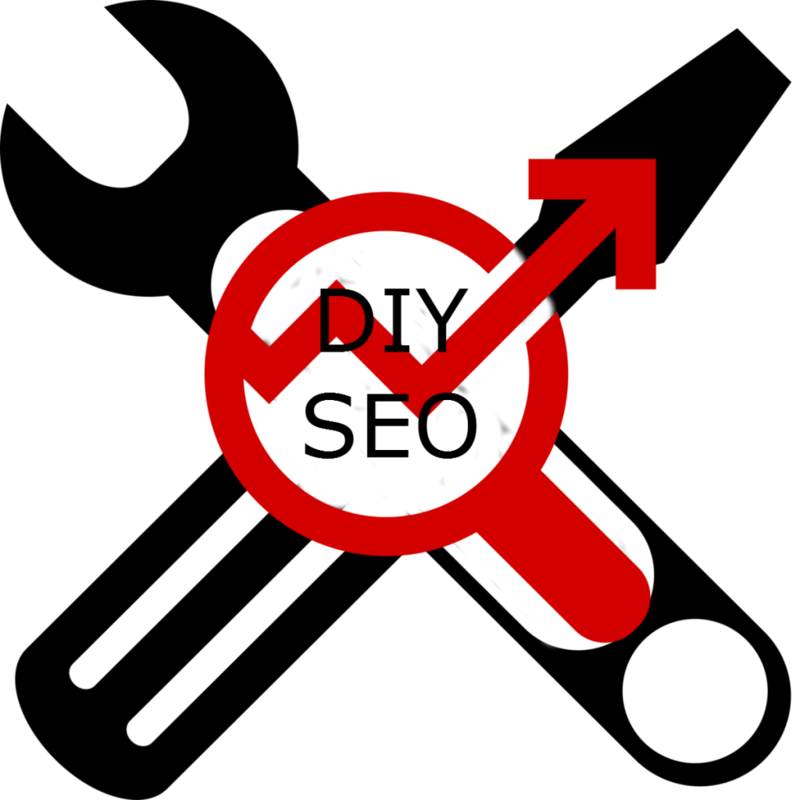 PPC. There is even a SEO software solution aimed at evaluating the effectiveness of your PPC activities. Keyword Analysis. Is another obvious set of SEO tools and features. Go to the official Searchmetrics website for more detailed information. compares crawls of your website. internal and external outlinks of a page. page’s heading as well as stylistic tags. On-Page SEO provides an insight on how your website is optimized according to HTML elements. Current Indexing: is your website indexed in search engines. If you are wondering, what is the most reliable way to find out how well your site is built and managed from the perspective of Google, is to ask the search engine itself. Thus, utilize Google Webmaster Tools and you will get a deep insight into SEO friendliness of your site. Optimize URLs, run speed tests, and get other precious data with the official SEO software by Google. Additionally to GWT, you can rely on other Google services and tools listed below. With Google Trends, you can take all your search query volume and check how it changes. It is vital to keep up with the time and new market trends even if you are going to improve SEO. Thus, streamline Google Trends and all its features. In the right hands, this tool leads to awesome results. Get monthly search query for dozens of keywords with Google Keyword Planner. The tool generates tons of important data that can be utilized in your further SEO improvements. And of course we should not forget about Google Analytics, since this service offers the most valuable SEO data. 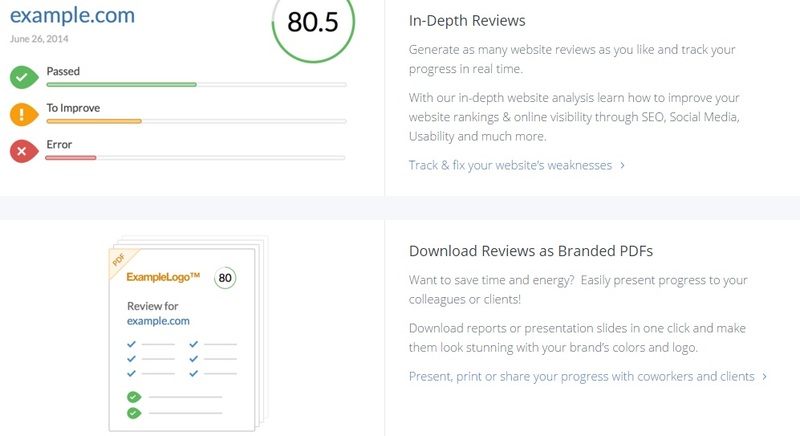 If you are going to get a deep insight into your current SEO, this tool is a must. If you are not sure whether your external and internal links works, use Check My Links. 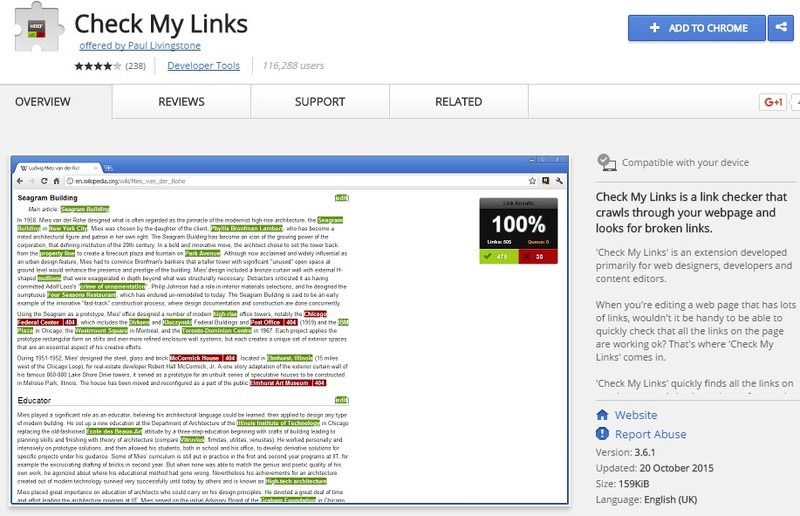 This free broken link checker will help you find out if everything is ok with your links. Note that all good links are highlighted in green, consequently red links are broken. Screaming Frog SEO Spider is designed to examine URLs for SEO issues. In case you have a site with dozens of pages, this SEO tool will come in handy, because it is designed to avoid such tasks as manually evaluating and optimizing the URLs. external links and their quantity / quality. For those website owners willing to get rid of unnatural links, we recommend Remove’em. This SEO service is not free, but it helps to clean all your threats up. Remove’em examines your backlink profile to provide you with a set of contacts related to all bad links and domains. As a result, you can easily reach out administrators and ask them for removal. Varvy offers a SEO auditing tool that provides you with information about your domain strength, image SEO, links, social mentions, page and technical SEO, speed of your website, etc. 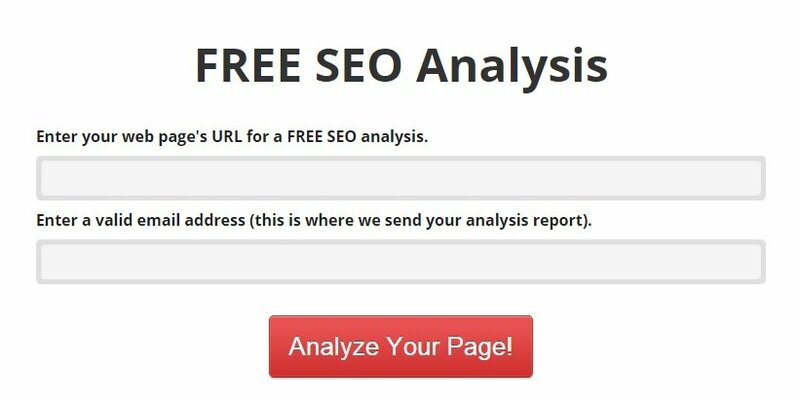 The free SEO analyzer requires less than a minute to provide a comprehensive report. Every complex SEO optimization procedure is based on examining the speed of your website and diagnosing opportunities for improvements. All parameters that provide influence on UX impacts SEO, so site speed is a vital aspect of your optimizations. 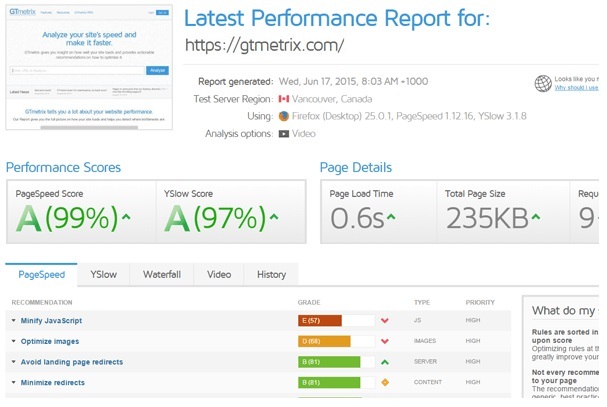 If you are looking for a page-speed test, pay attention to GTmetrix, since it is a reliable tool with advanced usability. 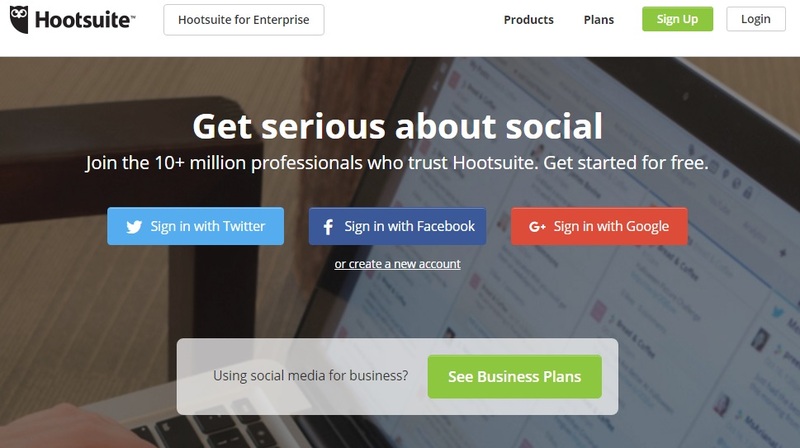 Hootsuite is a SEO management software solution with the emphasis on social media. It is pretty useful for promoting your content. Staying on top of your competitors and engage with key influencers with Hootsuite. Wayback Machine is not a typical SEO tool. Being a historical archive, it can provide you with missed data vital for your SEO improvements. Besides, you can find out something new about your competitors there. Keywordtool.io is going to improve your stock of keywords. Enter a query and get a result. All data is based on algorithms used by Google, YouTube, Bing, and App Store. More about keyword research, read here: DIY SEO: Keyword Research 2016. Bing Webmaster Tools is another prominent set of tools. Although it offers lots of all possible solutions, there are also features aimed at SEO. Therefore, we recommend you to run SEO check with the aid of BWT. Term Explorer is one of the most useful keyword generators. It looks like Google Keyword Tool, it is incredibly fast (requires 30 seconds to provide a list of precious data), and offers a huge list of keywords (about one thousand). Besides, you can easily use everything without copying brackets. AMZ tracker is a SEO tool designed for Amazon search engine. If you sell something on Amazon this SEO software is a must. Vectorfy is a content relevancy checker that shows what and how vector keywords to use and how to utilize them. Consequently, you can enhance your current SEO conditions. With SEMrush, you will get an overview of all keywords from your website or its individual URLs. Since the most successful keywords are shown on the top of the list, you get the highest traffic producers first, which is a good opportunity for further SEO improvements. 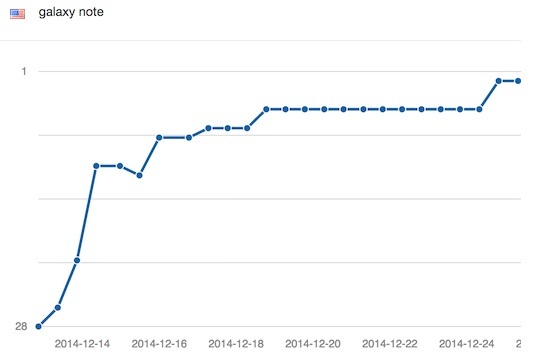 Panguin Tool shows how different Google algorithms scan your website and impact your traffic. You only have to login via a Google Account, choose an analytics profile, and watch what processes occur on your website. Majestic will help you find out how websites link to each other. Being the largest link database, it provides really incredible data. Besides, it offers such features as Site Explorer which analyzes domain/url; Backlink History which checks your backlink profile; Search Explorer which determines keyword indexes; and Link Intelligence API which brings raw data into apps.